Double Dollars – Community Action Coalition For South Central Wisconsin, Inc. The Double Dollars program provides a dollar-for-dollar match up to $25 every market day for anybody who shops at a participating farmers’ market using an EBT card. The extra money spent by shoppers goes straight into the pockets of the vendors who get reimbursed for the full value of every Double dollar they redeem. With Double Dollars, shoppers win, vendors win, farmers’ markets win, and our community wins! You can withdraw as much as you would like for that market day. However, you can only receive up to $25 in Double Dollars per market day. Volunteers can run a balance inquiry on your account when they swipe your card. What items are eligible for purchase? Eligible products are meant to be prepared and eaten at home. When are Double Dollars available? For the 2018 season, Double Dollars are available at participating farmers’ markets from June 2nd to December. Double Dollars are also available at Willy Street Co-op locations starting in October 2018. How do I get my money to spend at the market? 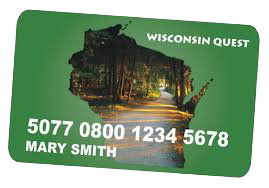 Bring your Quest EBT card with you to the information booth at a participating farmers’ market. The market staff or volunteers will swipe your card and provide you with the market money and Double Dollars. You will receive one market dollar and one Double Dollar for every dollar you withdraw. What if I don't spend all my money at the market that day? Your market dollars never expire, so you can use them the next time you shop at that market. Your Double Dollars will expire in December of 2018 or when funds run out, so you can also use them your next time at the market, as long as it is before December. You can also return money to your SNAP benefits account by stopping at the EBT booth as you leave the market. You will need to return one market dollar and one Double Dollar for every dollar put back into your SNAP benefits account. Is there a minimum amount I must withdraw? There is no minimum, but you must withdraw in increments of $1. 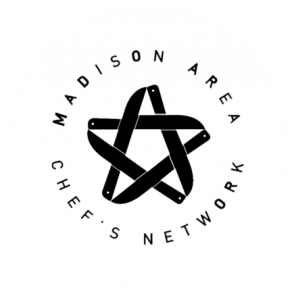 Do I have to be a Madison resident? No, anyone can participate in the program who has an EBT card. How does Double Dollars work at Willy Street Co-op? This will start in October 2018, so stay tuned! On Double Dollars Tuesdays, any shopper using a FoodShare/QUEST card to purchase groceries will be eligible to receive up to $20 worth of Double Dollars coupons to use during future shopping trips. Double Dollars coupons are designed to help with fresh fruit and vegetable purchases, and so any item in the produce department can be purchased using a Double Dollars coupon. Double Dollars returns Saturday, June 2nd, 2018! 210 Martin Luther King Blvd. Northport Town Center-1857 Northport Dr.
Central Park-202 S. Ingersoll St.
Centro Hispano-810 W. Badger Rd. Edgewood High School-2219 Monroe St.